A staggering 26% of all domestic heat loss escapes through the windows*. Installing energy efficient windows in your property can save you up to 28% per year on your heating bills compared to traditional windows and frames. Reduced energy costs: replacing all single-glazed windows with B-rated double glazing could save you around £165 per year on your energy bills. A more comfortable property: energy-efficient glazing reduces heat loss through windows and means fewer draughts and cold spots. Peace and quiet: as well as keeping the heat in, energy efficient-windows insulate your property against outside noise. A window’s WER is determined by a formula which takes into account three factors: Available solar heat gains (window g-value), i.e. how much free heat and light is captured from the sun, minus thermal losses (window u-value) i.e how well heat is retained and radiated back into the property, and air leakage (L factor) i.e the amount of heat that is lost due to air penetration such as draughts and cold spots. WERs = window g-value - (window u-value + L factor) The resulting numerical value (known as an energy index) is then placed into a band on an A-G scale consistent with other energy performance labels already familiar to the consumer. All properties lose heat through their windows. 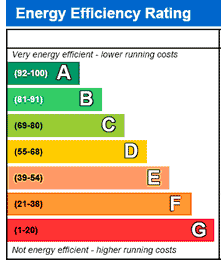 But energy-efficient glazing keeps your property warmer and quieter as well as reducing your energy bills. That might mean double or triple glazing, secondary glazing, or just heavier curtains.